More of an autumn color, but I love a dark, vampy polish. 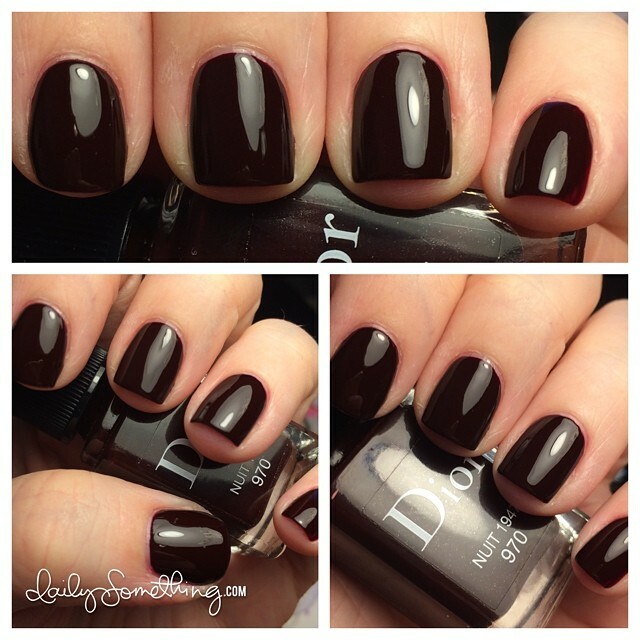 :) Color is Nuit from Dior. Time to change the polish!